Arinze Kene brings his tantalising journey through inner-city London to the Trafalgar Studios this September. Blending music, poetry, drama and live art this original new work stunned audiences in West London's Bush Theatre earlier in 2018. Written by, and starring, Kene, Misty is an elegant yet visceral look at one young man's identity crisis. Featuring an original musical score, Misty guides us through the murky waters that young black artists tread. Pulled in two different directions by his family and his agent, Misty sees Kene battles with his own form of cultural representation. In this multi-faceted production the ever ongoing conversation about ethnic representation is challenged in a visually impressive and enlightening way. Seen Misty? Loved it? Hated it? Sound good to you? 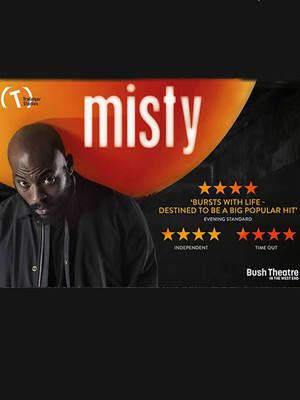 Share this page on social media and let your friends know about Misty at Trafalgar Studios 1. 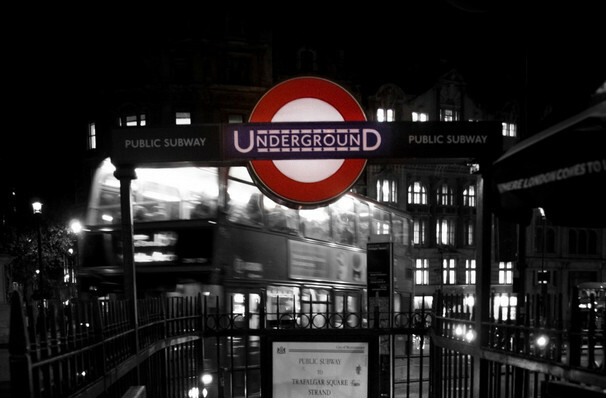 Please note: The term Trafalgar Studios 1 and/or Misty as well as all associated graphics, logos, and/or other trademarks, tradenames or copyrights are the property of the Trafalgar Studios 1 and/or Misty and are used herein for factual descriptive purposes only. We are in no way associated with or authorized by the Trafalgar Studios 1 and/or Misty and neither that entity nor any of its affiliates have licensed or endorsed us to sell tickets, goods and or services in conjunction with their events.